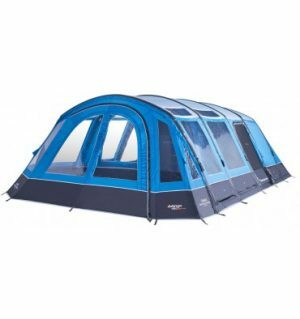 The Rivendale 800XL Air is a vibrant family tent which is an ideal base for spending quality family time together and enjoying the outdoors. 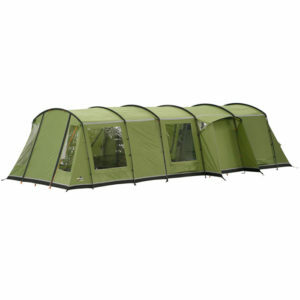 Although only classified as a 6 person tent with the canopy you could easily sleep 10 or more! There is over 24 square metres of living area. Thats huge!! The pre-angled poles help achieve greater internal space as well as creating an effective bracing system against strong side winds, making sure you feel completely secure in your outdoor home. An over door canopy keeps the living area dry on wet days and large windows with covers give you a great view of your surroundings. Sprawl out in the king-sized bedrooms to get a great nights sleep before an adventurous day in the outdoors! 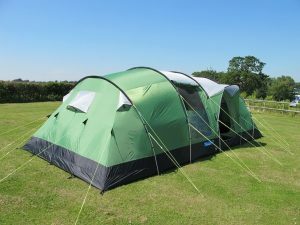 Book a Tent to be delivered to your address or use our Click & Collect service. 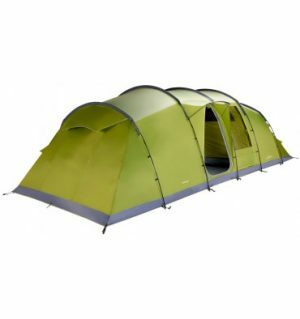 Helpful tent installation video guides.